High-capacity towel dispenser provides operational efficiency and touchless towel dispensing to help minimize the risk of cross-contamination. 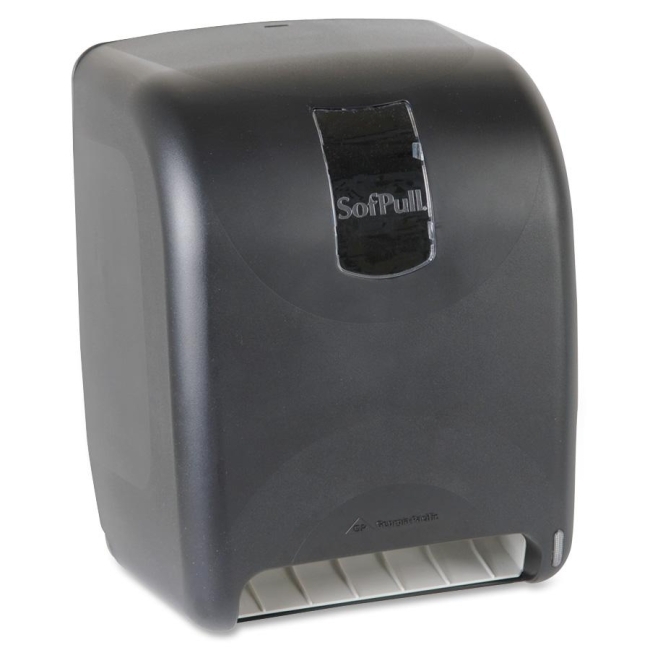 The SofPull High-Capacity Automated Roll Towel Dispenser is easy to load with no settings to adjust. With touchless dispensing, sleek dispenser automatically dispenses one fresh 11" towel. A new sheet is always ready for your customers to keep things moving. Having no levers or buttons reduces hand contact and the spread of germs. Higher capacity 1,000' rolls deliver more hand-dries per case, fewer roll changes and less maintenance time. Convenient viewing window makes it easy to tell when it's time to refill. Dispenser uses three D-cell batteries (included).